The Israeli occupation authorities (IOA) knocked down 523 Palestinian homes and civilian structures in the West Bank since the start of 2016, with an increase of 275% from last year, a Palestinian center reported Sunday. A report by the Land Research Center (LRC) said the Israeli occupation army demolished 188 civilian structures sheltering 854 Palestinians. Nablus province, in the northern occupied West Bank, hit a record high of 58 in the number of demolished homes. The Tana makeshift village was also subjected to three demolitions during the months of March and February. 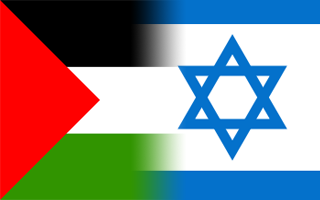 The IOA further destroyed 41 homes in Occupied Jerusalem, 33 in al-Khalil, and 28 in Tubas. 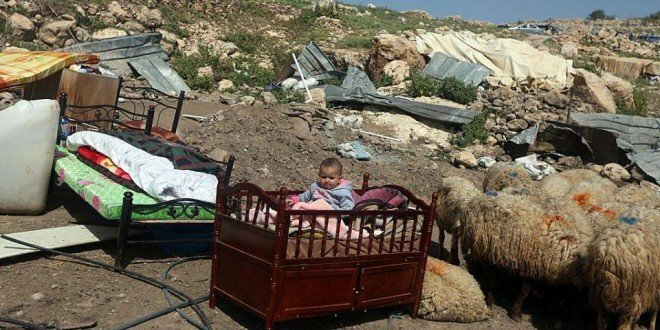 Several Palestinian buildings were also demolished in Jabal al-Baba and Abu Nawar Bedouin communities. The demolition campaign also targeted homes in Silwan, Beit Hanina, al-Tur, Sur Baher, and al-Mukbir areas. According to the center, “such a ferocious campaign” on Palestinian residential structures has seen an increase of 275% compared to the first three months of 2015, when 190 Palestinian structures were knocked down. Most of the demolitions were carried out either under the unlicensed construction pretext or on account of the inhabitants’ involvement in anti-occupation activism. Israel’s demolition policies have often targeted buildings located in the Israeli-controlled Area C, which covers 61% of the occupied West Bank. The area has been a breeding ground to Israel’s illegal settlement construction and expansion.